The stanzas and refrain of this hymn present a contrast between the buried Jesus and the risen Jesus. In the stanzas, He was buried, awaiting the appointed time of resurrection, and there was nothing that could keep Him in the grave – the guards tried, and Death tried, but they were no match for our Lord. The refrain is a jubilant celebration of the Resurrection. Jesus is risen! He is risen indeed! Hallelujah! This jubilant Easter text was written in 1874 by Robert Lowry, and was published in a Sunday school songbook edited by Lowry and William Doane in 1875, Brightest and Best. 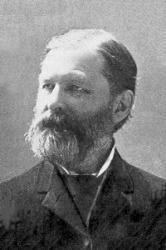 The hymn was used by Dwight L. Moody and Ira D. Sankey in their revivals in Great Britain, and was widely popular in America as well. 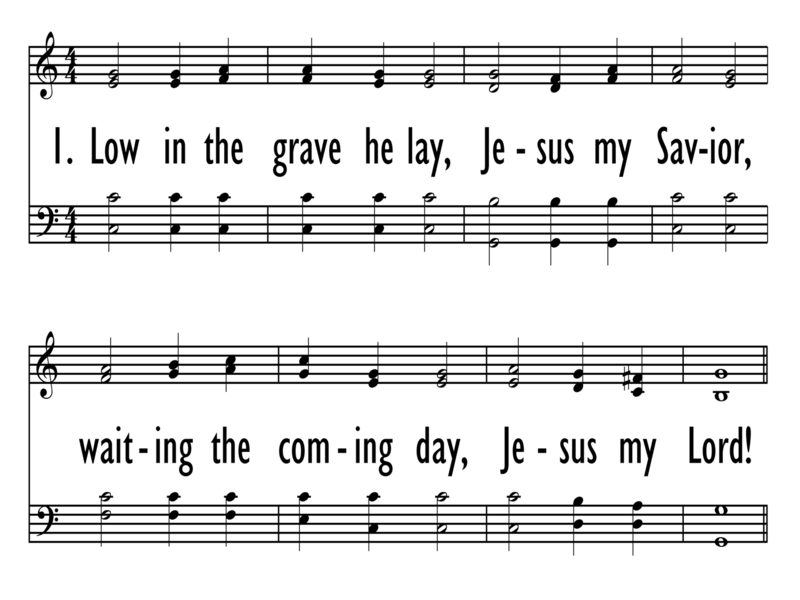 This hymn has multiple titles: “Christ Arose,” “Low in the Grave He Lay,” and “Up from the Grave He Arose.” The themes of the stanzas and the refrain contrast each other. The stanzas focus on Jesus in the tomb. The refrain exultantly celebrates that Jesus is now risen and victorious over His evil enemies. This hymn would make an excellent choice for an opening hymn on Easter Sunday, especially for a sunrise service. An energetic handbell arrangement, such as “Up from the Grave He Arose” is one way to begin the celebration. A brass trio such as “Christ Arose” is another idea to give a touch of rousing jubilation to the opening of an Easter service. For a variation on the usual practice of opening with the subdued mood of the stanzas, try singing the refrain first as a burst of joy in the celebration the church has been eagerly anticipating all through Lent and especially Holy Week. Then sing the stanzas to rehearse what has led up to this moment. 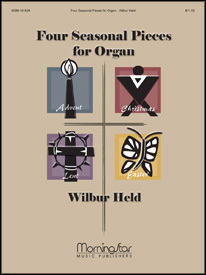 The piano arrangement of CHRIST AROSE that is part of the collection “What Wondrous Love!” demonstrates how to quietly open the hymn. 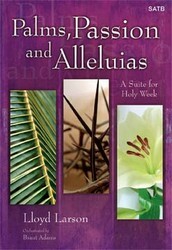 The hymn would also work well in medley with other Easter hymns. “Raise Your Joys and Triumphs High” is a handbell medley of “Christ the Lord Is Risen Today,” “Up from the Grave He Arose,” and “All Hail the Power of Jesus' Name.” A bright musical interlude between the hymns maintains the overall mood and provides a sense of connection between the various tunes.